We are navigating life with the intentions of showing others sincere and genuine love. I'm constantly striving to be a better version of myself each and every day. I find my joy in reading, writing, photos and people. I love people. And I love the stories people have to tell. My blog has been one of the greatest resources for me while living the life of a trailing spouse. Far from home and our network of people, this blog has truly become a friend. I have random stuff to share. With moments of inspiration. Stick around, comment, and let's be friends! You are too cute!! Found you thru the UBP! Looking forward to following your adventures! Happy Monday! 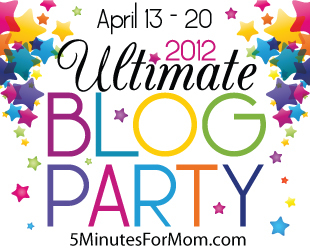 So glad I found your blog through the UBP! Your blog is super cute. :) I'm excited to follow your life and adventures. Thanks for checking my blog out! Wow are you doing amazing things with your life! I love to see how God uses people for such ordinary things... and such extraordinary things! I will def. be enjoying your blog! Stopping by to say hello from the UBP! I peeked at your "wedding day" posts. Swooning over all of the beauty there! You were a beautiful bride! Oh thank you so much! Those pictures mean the world to me considering we opted for no video footage. What were we thinking?! Thanks for stopping in and thanks for the comment! You are adorable. Thanks for following. I can't wait to read more of your blog! Stopping by from UBP! You and your hubby are an adorable couple. Look forward to following your blog. Your hubby is a smart man for being an OSU fan :) Thrilled to hear he continues to support! What an adorable couple you are! :) I am a military spouse so I know all about being away from friends and family! Seems like you have figured it out though! Keep blogging! Hope you are enjoying the party! I know I am! Stop by www.forgetthedognotthebaby.com, and say hello! So nice to meet you. God bless. Thanks for stopping by Gail--I'm thrilled to have a new follower. I'm thankful to have discovered blogging at this point in my life, just perfect for documenting and expressing. I'll be swinging by your blog too! Thanks again! Excellent... another Ohioan! :) You'll understand when I complain about weather--though this has been an awesome spring! Thanks for stopping by! I'll be checking out your blog too! Aren't you adorable. I love your freckles!!! I also enjoy reading. I'm reading the 4th Gunslinger book right now. What are you reading? Thank you for the freckle compliment! They kinda define my look, haha. Currently I'm reading for work :/ but look forward to the Kite Runner next. I'm a little behind on best sellers :) Thanks for stopping by! Hi Katie! I love random so I think I will like it here - hope you don't mind! I'm in the midwest too. Great to find you partying - party on! Katie...cherish each other! Love your pics! hey i am a new follower i hope you'll come check out, follow and comment on my blog too! Will do! Thanks for stopping in! The UBP is a highlight of my blogging year, and I'm so glad that you've linked up this year!! I look forward to getting to know you better in the months to come. I'm just dropping by from UBP and had to tell you that we have the exact same wedding anniversary!! Yay for July 24, 2010! I don't know where you got married but I remember there being a torrential downpour that morning here in good ol' Michigan. We were so afraid it would be like that all day but the sun came out and dried it all up before the wedding! Oh I'm so glad to know someone else with the same wedding day! We got married in northern Ohio on Lake Erie... and yes... terrible storms had us panicked! I remember our rehearsal dinner on Friday night was one of the most severe storms I had ever seen. I was thinking... great--a total wash out. Amazingly the sun came out after an early morning storm and the wedding took place outside with out any issues. However it was about 90 some degrees that day. My poor guests. Hi! And thanks for stopping by! My husband is currently studying (and I will start next year) College Student Personnel Higher Education-Student Affairs. It's kinda tricky to understand but we will be the staff working on college campuses who deal with everything outside the classroom. Such as campus activities, health and wellness, judiciary issues, academic support... it goes on and on. We just loved our college experience so much that we wanted to help create awesome undergrad experiences for other students some day :).